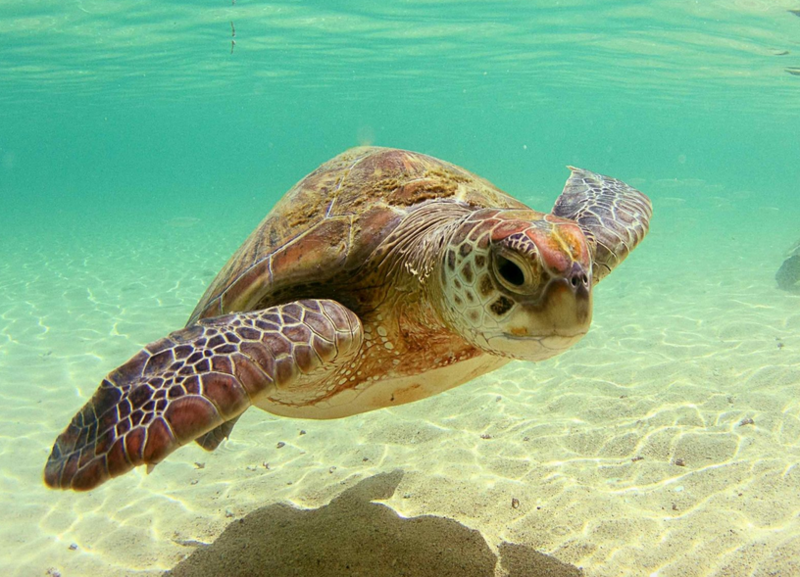 The world has two more sea turtles still in the ocean thanks to the heroic actions of two men in Papua New Guinea. Having come across two beautiful live turtles at a local food market, Arron Culling and a co-worker stepped up to prevent the creatures meeting the end of their days on a dinner plate. For what Culling reported as ‘just 50 bucks’ he was able to buy the pair, and then drove five kilometeres along the coast before releasing them back into the sea. The rescue mission was captured on camera and has been shared over 65,000 times online. It is apparently not the first time Culling has prevented turtles from meeting a grizzly end. sweet az niece these are prob bout numbers 9/10 that me and mark have bought and let go. Given six out of the seven species of sea turtles are endangered, the work of these two gents should not be considered just a drop in the ocean.